New patients often remark how warm and inviting our office is. Our goal for every patient, whether new or existing, is to give them excellent service. We want every patient to feel comfortable and appreciated. When you first enter our office, you will be greeted by name with a smile. After completing some brief paperwork about your condition, you will be introduced to the doctor. Your chiropractor will proceed to perform a consultation and examination to pinpoint the possible cause of your pain. If we feel you need further testing to diagnose your injury or condition, we will refer you to a nearby imaging facility. We do not refer every patient for diagnostic imaging. We will order these tests only if we feel it is necessary in making the diagnosis and choosing the best treatment option. 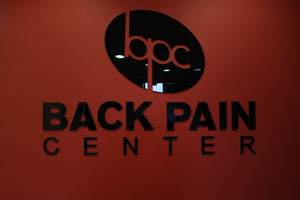 After evaluating you, the doctor will explain to you in simple terms what is most likely causing your pain and what the most effective treatment approach is for your particular problem. Unless treatment is contraindicated, you will be treated on the same day. A new patient visit only takes about thirty minutes from the time you walk through the door until the time you leave. Follow-up visits, if needed, only last around ten minutes. We realize your time is valuable. We will do everything we can to run on time and make your experience as comfortable as possible.